Tech Access Blog: Do you need a PC to connect to the web? I believe that most of you would say no, for you can use your phone to connect it the web! But think again, is it only the phone and PC that you need to connect to web? If your answer is yes, then this article is meant for you. I am sure that you know technology has grown but this article will tell you by what. HP has two products which are real unique. One of them is HP Dream Screen, which will stream music videos directly from the web onto a screen! It is just like a television with web content being run on it. 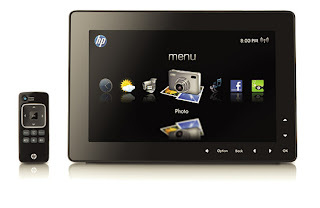 Another one is HP Photosmart Premium with TouchSmart technology Web Printer, which requires no PC but can print pictures form the web. It is slow and very costly, thus making it unaffordable. The next gadget which does not use PC to connect to the internet is a WikiReader. It is a Wikipedia in electronic format, with the data cached. One has to pay nominal charges in order to get updates, which is very affordable. The next device on this block is Ctera Cloud Plug. This is a plug in device which is used for file sharing and backup. All of these devices are based on excellent concepts and are proving to be a success. So who said you need PC to connect to the web?